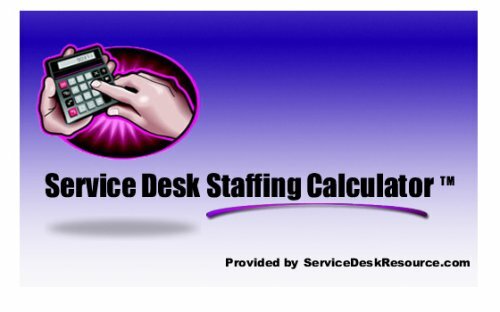 The Service Desk Staffing Calculator is for Service Desks, Help Desks and Call Centers to determine staffing need based on workload and agent availability. The tool is intended to provide what staffing levels should look like based on the criteria of your desk. The tool does not provide hour-by-hour staffing based on contact volume arrival patterns. Our Service Desk Scheduler provides that level of detail and allows for agent scheduling. However, this calculator does help you determine gross staffing need based on your environment. This tool will help you use real world numbers to justify headcount or build a case for additional resources.